Using APKPure App to upgrade Kokotime, fast, free and save your internet data. Kokotime is a simple, free and elegantly designed media-center that will let you watch all your favorite media content in a unique and elegant user friendly design. Equipped with unique features like Universal Cast and video player side drawer Kokotime will give you a unique media experience. Kokotime also has a Chromecast remote so you can cast your content to your Chromecast in app. You can also browse your files using the in app file manager and Kokotime will also index and organize your local media. In addition Kokotime has an M3u parser so users can add their M3u playlists and play them using the built in player which supports zapping between playlist content (Double click to zap). Kokotime also supports add-ons to load media libraries or load media from your local server or a public media service and display them in a unique layout while also displaying extra information in a beautiful design, a documentation on add-on creation is available on our website for developers who want to contribute. The app is still in development and more content is added each update. If you have any requests for features you would like to be added on future updates feel free to contact us. • Support for 3rd party add-ons. 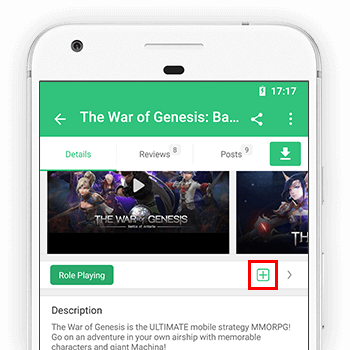 • Indexes your local media and organizes by genre, recently added, top rated but also display rich media such as posters/backdrops for your local files without having to download, get summaries, reviews and cast actors for all your media, Kokotime will do it all. • Built in videoplayer with support for live streams HLS and DASH and multiple video extensions optimized for local and online streaming. • M3u playlist parser, add your m3u playlists or play them directly. • Universal Cast, which is a unique service that lets you cast any media to any device without the need of an external device. Kokotime does not contain any content what so ever. This means that you should provide your own content from a local or remote storage location, DVD, Blu-Ray or any other media carrier that you own. Additionally Kokotime allows you to install third-party plugins that may provide access to content that is freely available on the official content provider website. Any other means of watching illegal content which would otherwise be paid for is not endorsed or approved by Kokotime. - Kokotime does not supply or include any media or content. - Kokotime has no affiliation with any third-part plug-in or add-on provider what so ever.